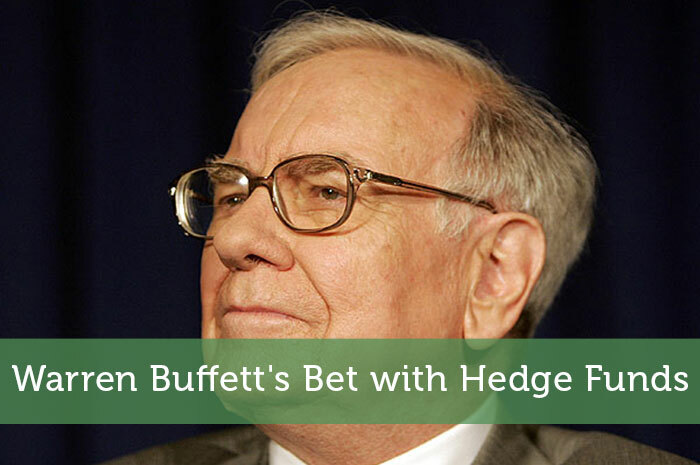 In 2006, Berkshire Hathaway’s Chair, Warren Buffett, made a bet with hedge fund Protege Partners. Buffett claimed that over a 10 year period, the Vanguard S&P 500 index fund would perform better overall than the cumulative returns of any five fund-of-funds chosen by Protege Partners. Last weekend during the annual meeting of Berkshire Hathaway (BRK.B,) Buffett took the opportunity to update the tens of thousands of people in attendance on how the bet is going. The Oracle of Omaha has always told people that buying an index fund is the best option for most retail investors. He appears to view many Wall St. bankers and consultants as overpaid salesmen in expensive suits. He mentions that “there’s been far, far, far more money made by people in Wall Street through salesmanship abilities than through investment abilities.” He further goes on to say that these professionals will talk to you for hours and “you pay them a large fee, and they always suggest something other than just sitting on your rear end and participating in the American business without cost. And then those consultants, after they get their fees, they in turn recommend to you other people who charge fees, which… cumulatively eat up capital like crazy.” I think he makes some really good points there. Almost every actively managed equity fund in Europe that invests in global, emerging and the U.S. markets has failed to beat its benchmark over the past decade, which raises a lot of questions about the values that stock picking managers add. Many bankers who work in the high finance industry are Ivy League graduates and put in long work hours. But that doesn’t mean their intentions are not motivated by self interest. Their primary concern job wise is to make money from their clients. They want to make high transaction fees first, and produce returns to their client second. I understand this is natural human behavior because everyone wants to make money. But at the same time I also wonder why there seems to be lack of consulting firms that only invest their client’s money in index funds. If there are a lot of imperical data that points to a better investment outcome through passive indexing rather than actively managing funds then I would assume the company that puts their client’s interest first would receive so much interest that they wouldn’t even have to charge high fees to still make a profit. Warren Buffett believes that one should invest using a measure of safety and security using one’s own circle of competence. In other words, if you feel comfortable with the investment decisions that you’re making because you have a really good understanding of that particular type of investment then you should base your investment decisions on your expertise. But most people are not financially sophisticated enough or have the time to do the work and research. So for the majority of retail investors Buffett advises the passive index fund path for the best long term investment outcome. But even a passive investment strategy can have an active component to it as well, such as deciding when capital is deployed and asset allocation. I think you’re right — hedge funds don’t outperform mutual funds. But if investing were all about returns, then we’d all be 100% stocks — that is, no bonds, no cash, etc. Yes. That’s my thinking as well. The purpose of hedge funds is to hedge against a major correction in the conventional markets like stocks and bonds.